Taking a cue from the classic lines of Art Deco design, each piece of the Zelda Collection will provide the flexibility, functionality and aesthetic that you desire for your fashion forward bedroom. With three bed offerings: Wood with cream bonded leather headboard insert (2238-1), Traditional styled metal bed with a modern chrome finish (2863-1), Metal bed with a brushed brown finish (2865-1), and traditional case pieces that are offered alongside home accents, the Zelda Collection allows for a personalized look. 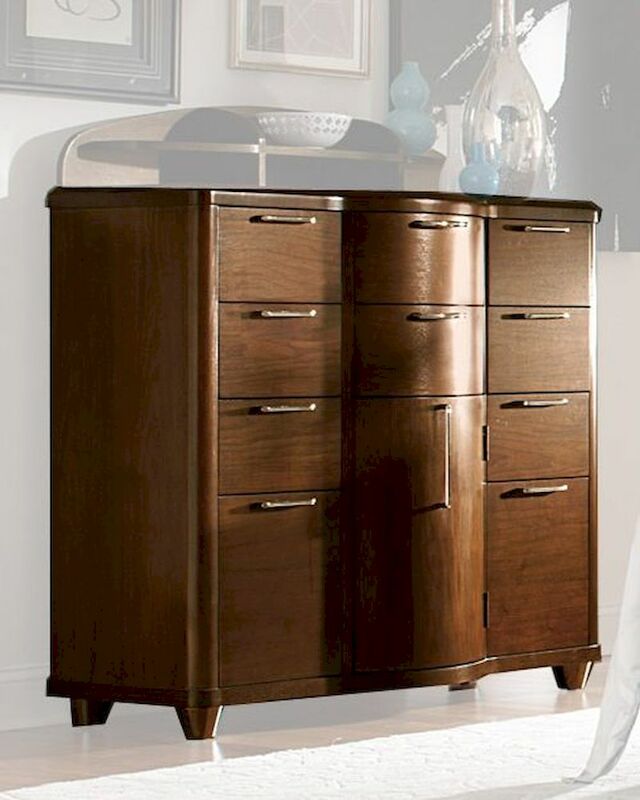 The warm cherry finish of each wood piece in the collection is complemented by chrome hardware.